Services are scheduled for 10 a.m. Saturday, Sept. 5, at West Alameda Church of Christ in Roswell for Bonita “Bonnie” Wilson of Roswell. 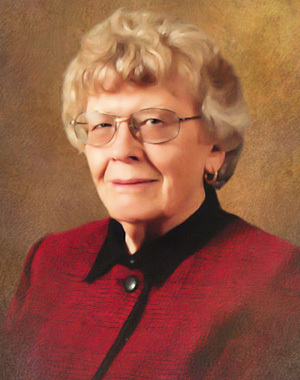 Wilson, 85, passed away Aug. 26, 2015. A graveside service will be held at 2 p.m. Saturday at Twin Oaks Memorial Park in Artesia with Van McCormick officiating. Pallbearers will be Richard Reedy, Tyler Replogle, Ryan Replogle, Nolan Replogle, Andrew King and Joshua Ives. Wilson was born Dec. 15, 1929, in Perry, Okla., to Frank and Avisa Keller Campbell. She made it her personal mission to befriend the lonely and individuals with disabilities who needed companionship or a helping hand. Up until she was in her 80s, she gave rides to several ladies to grocery stores, church, or just out to eat when they needed companionship. She got her “workouts” lifting wheelchairs and walkers in and out of her car as long as she was able. Having been orphaned at a young age, she had a special place in her heart for needy children. Regularly, she gave to children’s homes. She “grandmothered” several neighborhood children, who would come to visit her often. She was a member of West Alameda Church of Christ and a volunteer Pink Lady at Eastern New Mexico Medical Center. Survivors include daughters Marilyn Carol Baker and husband Ronald, Virginia Sue Reedy and husband Dickie, and Frankie Jane Replogle and husband Steve; sister Elizabeth Rose McCormick and husband Van; grandchildren Richard Lee Reedy and wife Josephine, Robin Annette Reedy and fiancé Andrew King, Tyler James Replogle and wife Nicole, Ryan Mathew Replogle and wife Elana, and Nolan Thomas Replogle; and great-grandchild Oliver Travers Reedy. She was preceded in death by her parents; husband Dow Wilson; son Richard Dean Hefner; and brothers Raymond Campbell, Glen Campbell, Tom Campbell and William Frank Campbell. Memorial contributions may be made to the New Mexico Christian Children’s Home, 1356 N.M. 236, Portales, N.M., 88130-9983. Arrangements are under the direction of LaGrone Funeral Chapel. Condolences may be expressed online at www.lagronefuneralchapels.com.